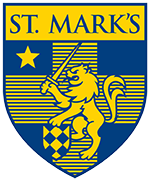 Respecting the needs of future generations, St. Mark’s School of Texas will provide leadership in environmental sustainability and responsibility. The School assigns significant priority to integrating environmental awareness, understanding, and stewardship into its academic mission, campus improvements, and operations. University of Texas at Dallas - M.A.T.